Notice: If you're here for the A to Z Challenge, my T post is HERE. The Indie Giveaway Hop is hosted by A Daydreamer's Thoughts and Booked Up. Check out this post for a complete list of participants, and to hop around and enter to win some great indie books! 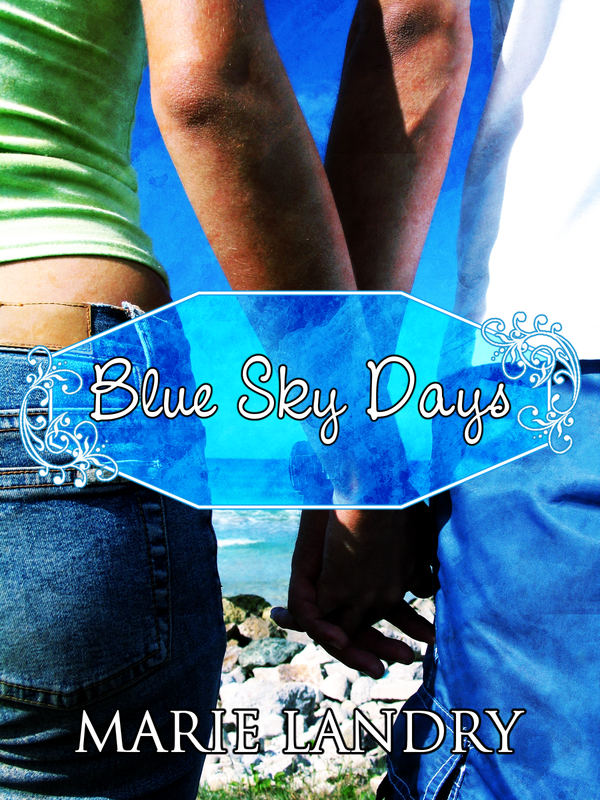 For this hop, I'm offering an e-copy of my debut novel, Blue Sky Days. A year after graduating from high school, nineteen-year-old Emma Ward feels lost. She has spent most of her life trying to please her frigid, miserable mother - studying hard, getting good grades, avoiding the whole teenage rebellion thing - and now she feels she has no identity beyond that. Because she spent so many years working hard and planning every moment of her life, she doesn't have any friends, has never had a boyfriend, and basically doesn't know who she is or what she really wants from life. Working two part-time jobs to save money for college hasn't helped her make decisions about her future, so she decides it's time for a change. She leaves home to live with her free-spirited, slightly eccentric Aunt Daisy in a small town that makes Emma feel like she's stepped back in time. When Emma meets Nicholas Shaw, everything changes - he's unlike anyone she's ever met before, the kind of man she didn't even know existed in the 21st century. Carefree and spirited like Daisy, Nicholas teaches Emma to appreciate life, the beauty around her, and to just let go and live. Between Daisy and Nicholas, Emma feels like she belongs somewhere for the first time in her life, and realizes that you don't always need a plan - sometimes life steers you where you're meant to be. Life is wonderful, an endless string of blue sky days, until Nicholas is diagnosed with cancer, and life changes once again for Emma in ways she never thought possible. Now it's time for her to help Nicholas the way he's helped her. Emma will have to use her new-found strength, and discover along the way if love really is enough to get you through. *Ends April 30th at 11:59pm EST. I will contact the winner after the giveaway closes, and they'll have 48 hours to respond, at which point if I haven't heard back from them, I'll choose another winner. *I'll be sending the winner a Smashwords code to download the book in the format of their choice - the book is available in all e-formats, so you can choose whatever works for your reader, tablet, computer, etc. *Simply leave your name and email address in the comments below. *You don't have to follow my blog, but you'll get an extra entry if you do. Just leave the name you follow with. Thanks for entering, and happy hopping! This sounds like a good heartwarming read. Thanks for participating in the hop and for the giveaway opportunity. Blue Sky Days sounds like a good read to me :) Thank you for the lovely giveaway opportunity and for your participation in this fun hop. Thanks for being a part of the hop! I love these blog hops, get to see new places! I love discovering new books on these hops! Sounds interesting. Thanks for the chance to win. 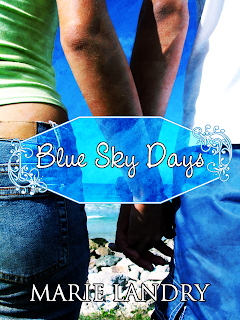 Blue Sky Days sounds like a good read. I would happy to win it. Thanks for giveaway!! Thanks so much for your giveaway! I hope I win! Great giveaway, Go Indie! This hop is amazing! Blue Sky Days sounds really good. The book sounds good. Thanks for the giveaway.